JENICE L. MALECKI, ESQ. is a well-known securities attorney with a uniquely diverse background from experience representing a wide range of clients in securities and commercial arbitration, litigation and, regulatory matters, from investors to industry professionals. She has successfully recovered tens of millions of dollars in securities related settlements and awards for her clients. As an aggressive litigator, her unique background enables her to see both sides of the dispute and anticipate the opposition. 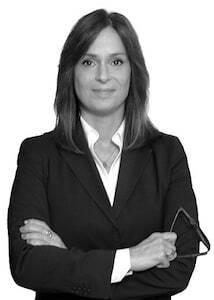 In her nearly thirty years of experience, Ms. Malecki has handled thousands of investor, intra-industry and employment matters, arbitrations, litigation proceedings and appeals, contested governmental, regulatory, and self-regulatory investigations and hearings, as well as mediations, settlements, Acceptance, Waiver and Consent Orders (“AWC”s) and whistleblower complaints. She has also represented investor and industry witnesses and cooperators before various governmental, regulatory and self-regulatory bodies in hearings and settlements. Ms. Malecki was also the Vice President on the Board of Directors of the PIABA Foundation, an investor educational non-profit group with a mission to educate investors and provide the public with information about abuses in the financial services industry and the securities dispute resolution process. Ms. Malecki is a member of and has been on the Board of Directors (and an Officer of) the Public Investors Arbitration Bar Association (PIABA) and been a member of the Securities and Exchanges Committee (SEC) at the New York City Bar Association and the New York State Bar Association, having spoken many times at the Practising Law Institute (PLI), the New York City Bar Association and the New York County Lawyers Association, Brooklyn Law School, St. John's Law School and New York Law School, as well as participating annually in PIABA's year-end conference. Ms. Malecki’s speaking engagements extend to appearing as an expert for the Wall Street Journal Live, NBC’s Today Show, Fox Business News, ABC’s Eyewitness News, Bloomberg Television, China TV, EBR TV and several other syndicated shows and networks. She has also appeared on Steve Forbes’ in-flight radio show “America’s Most Influential Women in Government, Technology, Business, and the Law”, as well as other nationally syndicated radio programs. She and her cases have been and continue to get cited in numerous industry publications, including The Wall Street Journal, The New York Times, Forbes and Newsweek. The Wall Street Journal featured Ms. Malecki in a permanent educational video clip about the arbitration process at FINRA on its website. Ms. Malecki’s experience as a New York securities attorney began in class-action litigation, having worked on the famed class-action case In re Crazy Eddie in the counsel’s office of the lead plaintiffs. Throughout the 1990’s she represented numerous broker-dealers and was instrumental in regulatory matters involving well-known “boiler room” stock fraud characteristic of the era and actually represented the progeny of the real-life “Wolf of Wall Street”, that was the subject of a Hollywood blockbuster. In 1999, Ms. Malecki founded her own practice, Malecki Law, in Manhattan, which today employs a staff of securities arbitration, litigation and employment lawyers. A natural fit and compliment to her securities work, Ms. Malecki has successfully represented clients in State, Federal and Appellate courts in various type of commercial and business disputes, including breach of partnership agreements, securities transactional disputes, employment disputes and contractual cases, against major and well-funded adversaries. Artists-- jazz flutist Bobbie Humphrey, teen singing idol Tevin Campbell, famed local New York playwright Tony Sokol, and New York dance troupe Dura Mater. $400,000 recovered from a major international brokerage firm for contract breaches and supervisory failures. 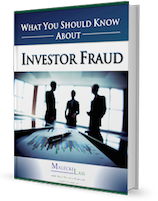 Ms. Malecki was a consulting expert on Ontonimo (OMO) Limited vs. BNP Paribas Securities Corp. – ($16.6 million FINRA award in 2015). Panelist- "Ethics and Expungement", New York State Bar Association, Continuing Legal Education (April 2017). Panelist- “Practicum on Experts and Closings”, Securities Arbitration: 2016. Practising Law Institute (September 2016). “The FINRA Resolution Taskforce Report After Seven Months: Where Are We Now and Where Are We Going?” Securities Experts Roundtable Annual Meeting, The Union Club (July 2016). Presenter - “The Graying of America- Suitability and Supervision for Senior Investors.” Securities Expert Roundtable Annual Meeting, The Union Club (July 2016). Speaker- “Arbitration Practicum Examination of the Broker in Product Cases”, Practising Law Institute, Securities Arbitration 2015 (July 2015). “Claimants’ Attorney in Mock Arbitration”, Public Investors Arbitration Bar Association, Annual Securities Law Seminar (October 2013). Speaker - “Arbitration Practicum on Prehearing Matters” and “Securities Arbitration: Recent Developments in the Law and Future Trends”, Practising Law Institute, Securities Arbitration 2012 (August 2012). Moderator: “Arbitration Pleading & Practice: Every Case Its Own Way – The Malecki Example: “Affinity Fraud, Non-Securities Related Notes & the Pure Failure to Supervise a Branch”, Public Investors Arbitration Bar Association, Annual Securities Law Seminar (October 2011). Panel Speaker: Reg. D and Private Placements - “The Tale of Two Private Placement Arbitrations: ‘Oh, What a Difference a Panel Can Make’”, Public Investors Arbitration Bar Association, Annual Securities Law Seminar (October 2010). “Developments in the FINRA Arbitration Discovery Process”, Practising Law Institute, Securities Arbitration 2010 (August 2010). Speaker – Practising Law Institute (June 2010). Panelist – “Pleading Arbitration Claims and Defenses”, Securities Arbitration and Mediation 2007, New York State Bar Association, Continuing Legal Education (November 2007). Moderator - Northeast Regional Panel, Public Investors Arbitration Bar Association, Annual Securities Law Seminar (October 2007). Panelist - "What Documents to Take to Every Hearing," Public Investors Arbitration Bar Association, Annual Securities Law Seminar (October 2006). Panelist – New York State Bar Association, Committee on Women in the Law (April 5, 2006). "How to Start Your Own Law Practice or Law-Related Business," NYS Bar Association, Committee on Women in the Law (June 2005). "Knowing What to Look For: Getting the Documents that Can Win Your Case," Public Investors Arbitration Bar Association, Annual Securities Law Seminar (October 2004).
" Securities Arbitration and Mediation 2017: The Courage to Simplify", New York State Bar Association, Continuing Legal Education (April, 2017). “Protecting Clients with Diminished Capacity In The Securities Industry: It’s Tricky,” Malecki Law, Jenice L. Malecki, Esq. and Robert M. Van De Veire, Esq. (PIABA Securities Law Seminar, written August 20, 2015 to be published October 2015). “Cross Examination of the Broker in Product Cases”, Practising Law Institute, (July 2015). Claimants’ Attorney in Mock Arbitration, Public Investors Arbitration Bar Association, Annual Securities Law Seminar (October 2013). “Ethics in Discovery: Court, A Backdrop for Arbitration”, Practising Law Institute (August 2012). “Sarbanes Oxley: A Brief Primer for the Employee” / “Notes, Expungement, & Good Faith” / “Fair Dealing: A Case in Point”, Public Investors Arbitration Bar Association, Annual Securities Law Seminar (October 2008). “BF and Auction Rate Securities: A Case Study”, Securities Arbitration and Mediation Hot Topics 2008, City Bar Center for Continuing Legal Education (Fall 2008). “Securities Arbitration and Mediation: 2007”, New York State Bar Association (Fall 2007). Panelist – “Starting Your Own Practice, Starting With Yourself,” New York State Bar Association, Committee on Women in the Law (April 5, 2006). "Advance Trial Techniques: Borrowing from Theatre," Public Investors Arbitration Bar Association, Annual Securities Law Seminar (October 2005). "Discovery 101 with A Twist: Tips, Timelines, and Tables”: “Securities Arbitration 2004, A Primer for the Practitioner," New York State Bar Association (October 2004). "Self-Regulatory Organization Practice: Examinations, Interviews, Hearings and Appeals,"Association of the Bar of the City of NY (December 2001 & February 2003). "Understanding Wall Street and Avoiding Securities Fraud," The Learning Annex (March 2000). City of New York: 1999 -- Corporation Counsel: Police Misconduct Cases. Unafraid of controversial situations, in 1999, amidst great criticism of the New York City Police Department, spent three months working with the City of New York and its police officers in an attempt to deal with litigation and publicity issues relating to the highly publicized police misconduct cases. Duzenbury v. City of New York, (police brutality case). In re Moe Rimson & Co. In re Salomon Brothers Treasury Litigation. In re Homeowners Bank Securities Litigation. In re Checkers Securities Litigation. In re Cedar Hill Cemetery Litigation. Ms. Malecki appeared on CNBC's American Greed report titled "The Greed Report: Tempted by the real estate market? Investor beware!" in Feb 2017. She was quoted in the New York Times article "Think Your Retirement Plan Is Bad? Talk to a Teacher" in Oct 2016. For a list of Ms. Malecki’s media appearances on Bloomberg, Fox News, and others please visit “Media” page. Read about Ms. Malecki’s unique career achievements in Law Crossing. Ms. Malecki has volunteered with the Legal Aid Society and the New York City Board of Education. Ms. Malecki has acted, written and directed for Off-Broadway, Off-Off-Broadway and Community Theatre for over 30 years. She has supported the Labyrinth Theater Company with esteemed company members such as the late Philip Seymour Hoffman, John Ortiz, Eric Bogosian, Stephen Adly Guirgis, John Patrick Shanley (“Doubt”), Sam Rockwell, David Zayas and others. She has appeared in internationally recognized award-winning short and independent films and acted as lead vocals in live and recorded performances of All Too Human, a lyric band. In addition, Ms. Malecki has written, directed and produced short films and short plays that have been featured in festivals around New York City.